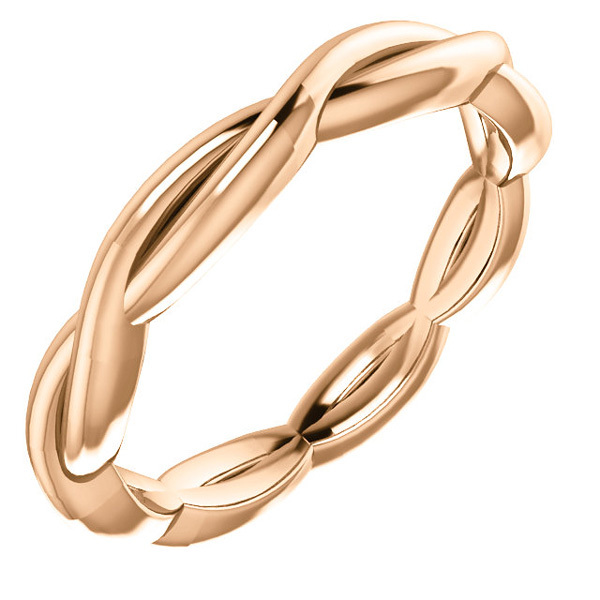 The soft pink color of the 14K rose gold braided infinity wedding band from Apples of Gold Jewelry makes this ring even more stunning and unique for that special day. 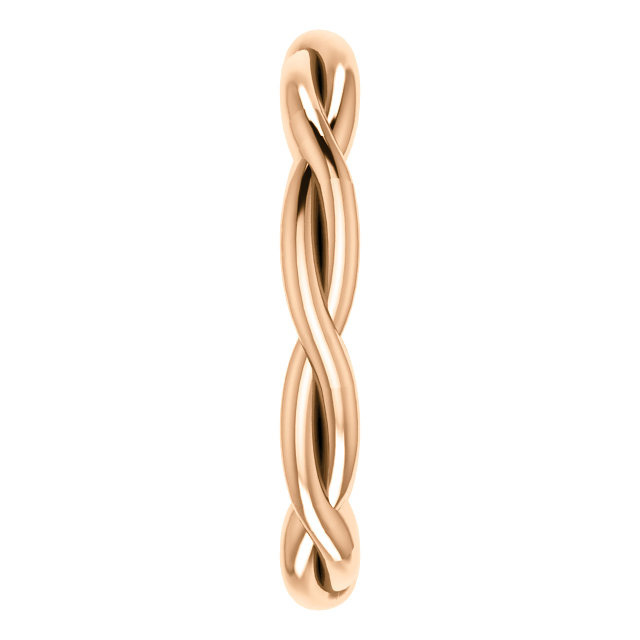 The 2.75mm wide 14K rose gold band features a looping infinity twist design that is sure to steal your heart. 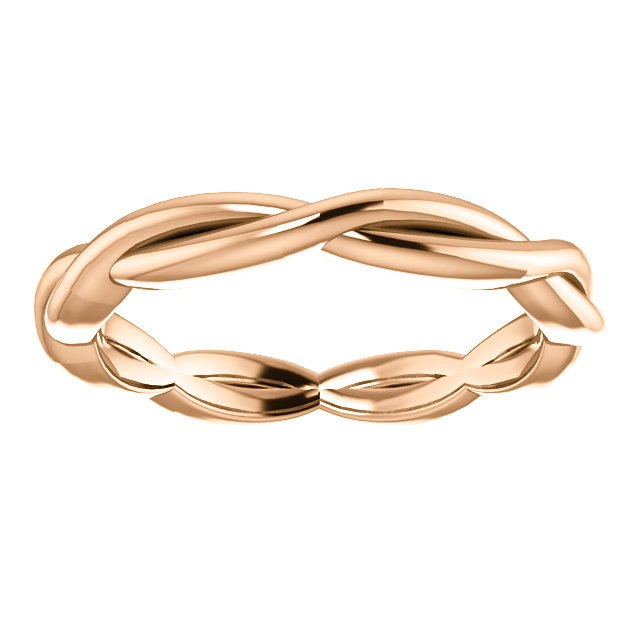 Whether combined with an engagement ring or worn alone as just a wedding band, you can be sure that this ring is the kind of ring that will not only receive plenty of attention, but also be loved and treasured always. 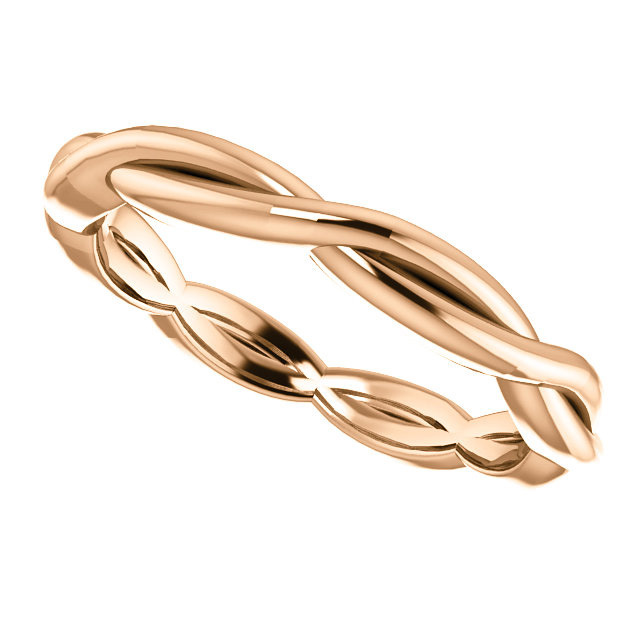 We guarantee our 14K Rose Gold Braided Infinity Wedding Band Ring to be high quality, authentic jewelry, as described above.